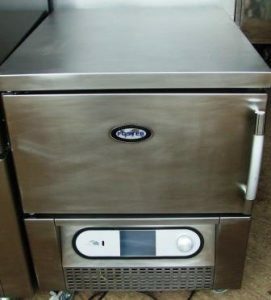 Blast Chillers are an essential piece of kit for any UK restaurant. 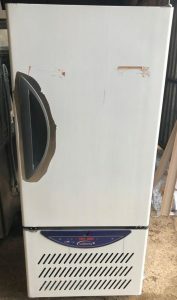 If you're looking for a second hand blast chiller, then we at Caterquip can provide what you need, at a price you'll love. As the leading supplier of second hand catering equipment, we've worked hard over the years to build up our proud reputation, which we've earned by creating hundreds of satisfied customers over 20+ years in business. 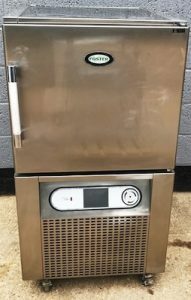 If you are in the food business you need blast chillers!, you must know the importance of storing and preserving food in the best conditions. As a matter of fact, there are really strict guidelines which food businesses need to follow in order to keep functioning properly. Now, when you are dealing with large quantities of food items you certainly need to invest in equipment that can help you maintain those foods condition. This is where blast chillers come into the picture. 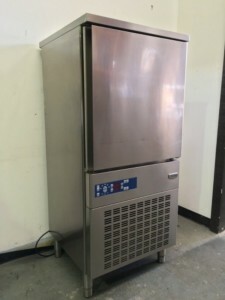 As we all know, one of the biggest advantages of having a blast chiller for your food business is that you can store large quantities of food. But, is that it? 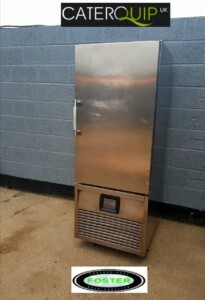 Is that the only reason why your food business needs a blast chiller? As already stated above, there are some strict guidelines in respect to the safety and nutritional value of food. Failing to meet those guidelines could eventually shut your food business. When you are dealing with large quantities of food, and have to store those items for days before using them, you need to have something that can help you maintain their condition. A blast chiller is one such equipment. With rapid freezing, you can eventually preserve the nutritional value of food. While a lot of people still prefer slow freezing, there are chances of alteration in nutritional values when using the slow-freezing technique. 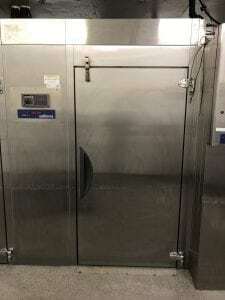 Another added advantage of commercial blast chillers is that they can be used to preserve large amounts of foods in quick time. This becomes important especially when you are dealing with food-stuff like meat, chicken and fish. If not preserved at the right temperature they could eventually be infected with bacterial growth, which could destroy the food items within hours. With the help of blast chillers you can eventually store and preserve large volumes of food stuff within hours. Therefore, you don’t need to worry about storing excess food items for your food business, as you can use a blast chiller and keep them in as it is condition for long! Although a blast chiller might look like a huge investment at first, considering the benefits it brings along it can be a worthy investment. Not only can it help you with conservation of food items for long, and maintaining their nutritional value intact, it could also be a great way to expand your business. When you have plenty of food stuff available throughout the operating time, you can eventually get more people to work for your business, increase the operating hours of your restaurant and try out more such innovative ideas. All in all, this could help you recover the cost you have invested in the machine itself. Therefore, investing in a blast chiller could be a great cost-effective idea! Should you buy one for your business? The one question that arises here is whether it is the right time to invest in a blast chiller for your business? The above mentioned points make it quite clear that blast chillers bring so many added advantages to a business. So, there is no denying that investing in one could be a smart idea. Obviously you need to give due consideration to the size of the equipment you need based on the requirements of your food business. There are different sizes of blast chillers available; you can pick the one according to the size of your business. Another important aspect to keep in mind when selecting the freezer is the airflow. Airflow is important because it plays a vital role in stripping the heat away from the hot food. Different blast chillers use different technique of air flow in their operation. For instance, some use cold air by blowing it over the evaporator coil, while others draw heat from the product. Those were some of the basics about blast chillers that you need to keep in mind before investing in one. Remember, there are virtually countless options available out there in the market. You need to have a clear idea of what your food business needs are, and then make a selection accordingly. After all, a smart businessman is the one who knows what the best for his or her business. And, investing in a blast chiller could be the smartest business idea ever! 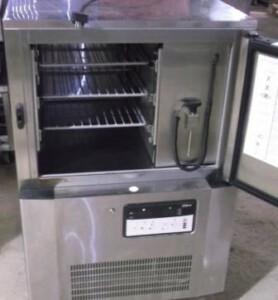 If you are in the food business you need blast chillers! You know the importance of storing and preserving food in the best conditions. As a matter of fact, there are really strict guidelines which food businesses need to follow in order to keep functioning properly.